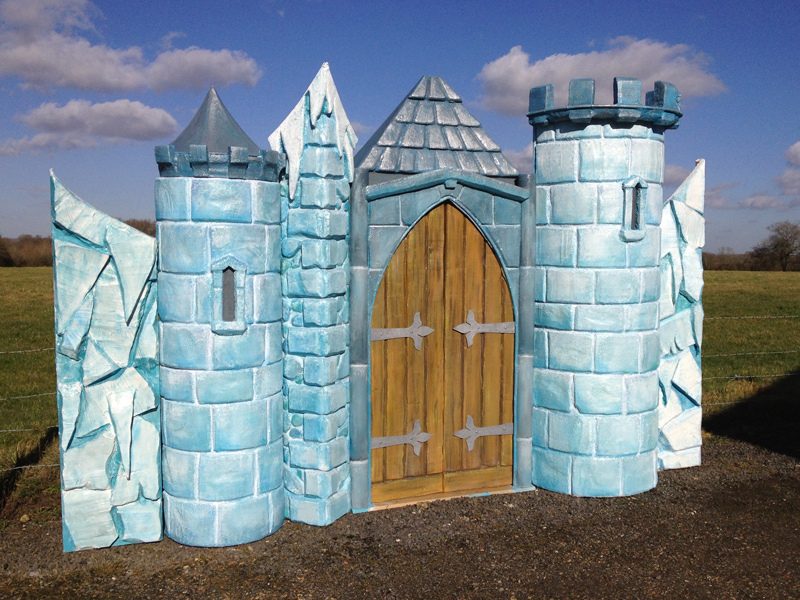 This feature prop is designed to bring the magic of being a princess to life and is high enough to make a presence whether inside or out. 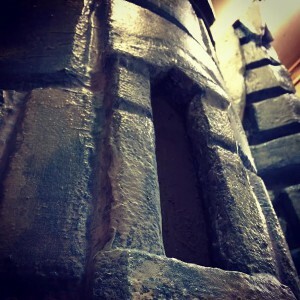 The castle is 12 ft wide 4 ft deep and can be anything from 8 to 12 ft high. We can add or remove sections to increase the size or make it fit into smaller spaces, depending on ceiling height or room size. It can be used as either a feature background or as an entrance with sparkling lit walls inside. 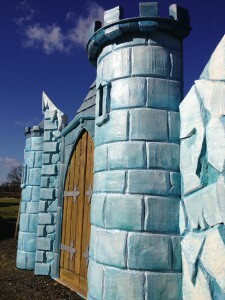 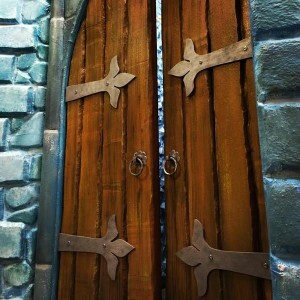 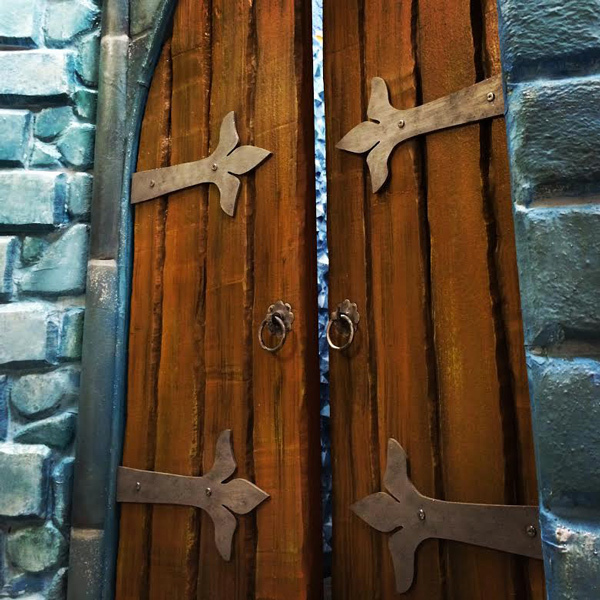 We can deliver and set up the Frozen Castle in about one hour and can bring the pieces in through a standard door. 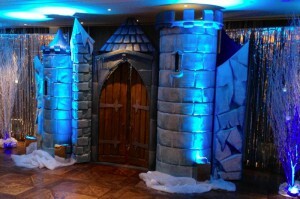 We can also dress larger areas with matching castle walls. 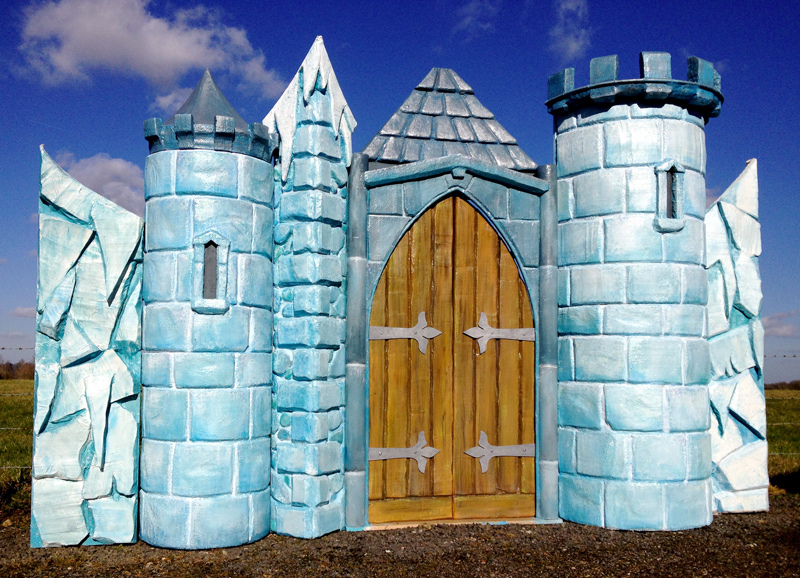 Hire costs depend on length of hire and distance from our workshop in Dorking, Surrey. 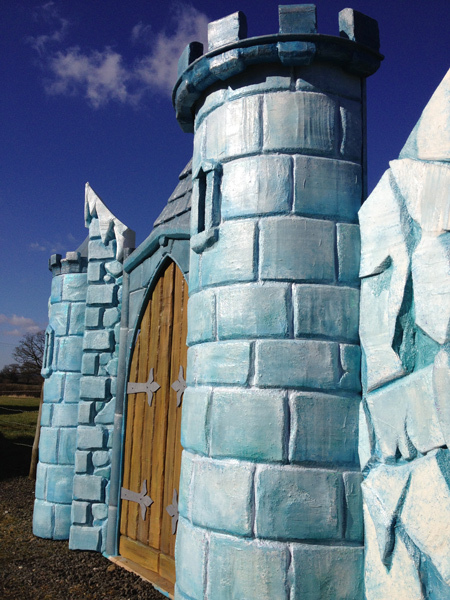 Please enquire for details – don’t forget to let us know the date and location.